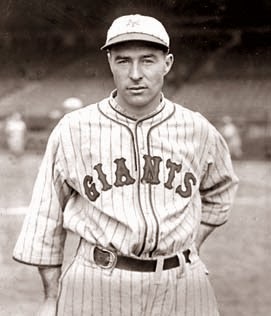 Francis "Lefty" O'Doul was born on March 4th 1897 in San Francisco , California. The six foot left hander began his career as pitcher then after he injured his arm, turned outfielder. He began his pro career in the AAA Pacific Coast League, coming out of Bay View High School. There he pitched for the hometown legendary; San Francisco Seals. In 1919, at age 22 he debuted with the A.L. New York team, pitching in three games while playing in 19 overall games. He would play parts of three season there & in 1923 was traded to the Boston Red Sox. On July 7th, 1923 he relieved Curt Fullerton and had one of the worst relief performances in MLB history. He allowed 16 runs over just three innings, with 14 runs coming in the 6th inning. The Red Sox had made some errors in the inning but 11 of the runs were earned. He eventually developed arm issues & became an outfielder. He went back to the Pacific Coast League for the next four years, learning to become an outfielder as well as a fine hitter. In 1928 he was picked up by the New York Giants. He would play in 114 games & bat .319 alongside Mel Ott for Manager John McGraw's second place team. The next season, he was traded to the Philadelphia Phillies for Freddy Leach. He played in every game winning the NL batting crown hitting an incredible .398, just two points shy of .400. It is the highest single season average for an NL outfielder in the 20th Century. He led the league in on base % (.465%) & plate appearances (732). He broke the NL record for hits at the time with 254, he was also second in the MVP voting. He hit 32 HRs (5th in the NL) & scored 152 runs (2nd in the NL). In the left field he led the league in assists (12) putouts (282) & games (15). The following year (1930) he hit .383 (4th in the NL) with 22 HRs (9th in the NL) a .453 on base % (4th in the NL) & another 200 plus hit year (202). 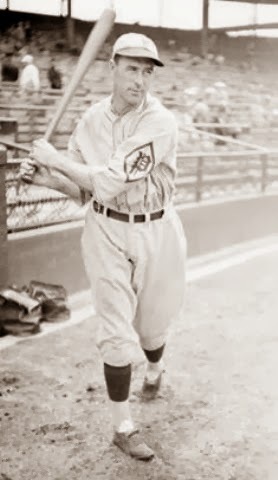 He was then traded to the Brooklyn Robins, where he won another batting title, hitting .368 in 1932. That year he drove in 90 runs, hit 21 HRs posted a .423 on base % & was third in the MVP voting. In 1933 after a slow start he returned to the New York Giants via a trade. He rebounded to have a fine year, finishing up to bat .306 in 78 games, with Bill Terry's World Champion Giants. 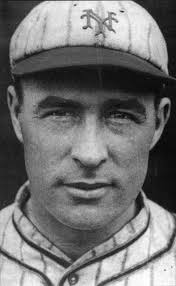 O'Doul would be a fourth outfielder behind a talented crew consisting of Mel Ott, Jo Jo Moore & Kiddo Davis. Post Season: He had just one at bat in the 1933 World Series against the Washington Senators, it came as a pinch hitter in Game #2 at the Polo Grounds. In the 6th inning, O'Doul singled off General Crowder with the bases loaded to put New York ahead 2-1. The Giants scored six in the inning & won the game 6-1 behind Hal Schumacher. He played just one more season before retiring at age 35. In his 11 year career he hit .349. His all time batting average puts him at #4 all time, but he has just 3264 at bats. He has 1140 hits 175 doubles 41 triples 113 HRs 542 RBIs & a .413 on base % in 970 games. In 804 outfield games he posted a .973 fielding % with 35 assists. Retirement: After his playing days he became a highly successful manager in the Pacific Coast League , posting a 2094-1970 record in 23 seasons. He managed the San Francisco Seals (1935-1951) San Diego Padres (1952-1954) Oakland Oaks (1955) Vancouver Mounties (1956) & Seattle Rainiers (1957). He is remembered for working closely & developing the hitting careers of Joe DiMaggio & Willie McCovey. He also coached the other two DiMaggio brothers who had successful careers in baseball. 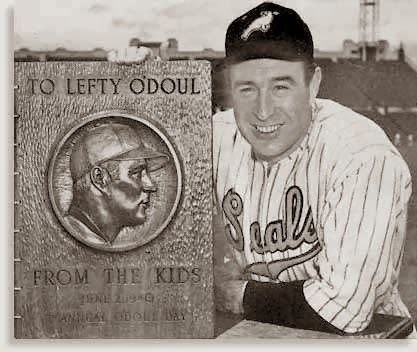 Quotes: Lefty O'Doul- "I refuse to take any credit for (DiMaggio). I was just smart enough to leave him alone." 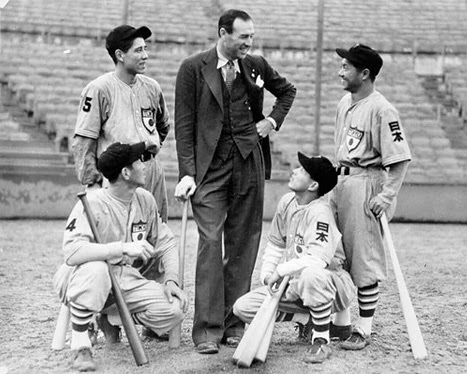 O'Doul is also credited for helping bring baseball to Japan, as he had made many trips there supporting the sport as an ambassador. The Tokyo Giants were named by him in honor of the New York Giants team he played for. Honors: He is remembered in San Francisco at the Giants At & T Park, as the bridge across McCovey Cove is named the Lefty O'Doul Bridge. He is elected to both the San Francisco Sports Hall of Fame & the Japanese Baseball Hall of Fame. There is a strong argument for his election to the Baseball Hall of Fame but his short playing time during years of historically high offensive stats hurt his cause. The fictional character of Roy Hobbs in the film; The Natural is partly based on him as well. 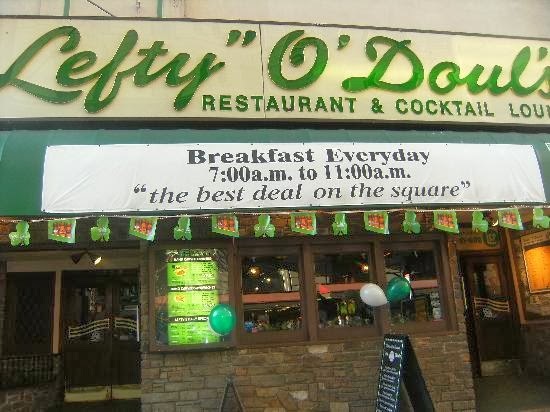 Restaurant: In 1958 he opened up Lefty O'Doul's Restaurant & Cocktail Lounge on Geary Blvd. in San Francisco. The place was intended to have families & friends eat & meet sports stars, as well as celebrities. The successful establishment is still in business today.